Massachusetts is set to revamp its existing noncompete laws and pass new legislation favorable to employees, as well as companies seeking to grow in Massachusetts. Philip Gordon spoke in front of Senators and Representatives about the proposed legislation, and the bill eventually passed in the Massachusetts Senate by 32 votes to 7. The proposed changes to noncompete laws in Massachusetts would ban those clauses for workers classified as nonexempt under the Fair Labor Standards Act (FLSA). Exempt employees – typically, professionals, administrators or executives – would continue to be subject to noncompete clauses, but with more predictable results. Noncompetes now would last only for six months, and they would be valid only if limited to a predefined geographic region and specific employment duties. Thus, if an employee finds new employment after six months, in a different area, or with different responsibilities, they would be allowed to begin working immediately. Other major changes include a requirement that advance notice of any noncompete be provided to individuals prior to employment, and that the clauses themselves be clear and specific. 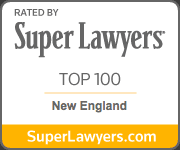 Click here to view the latest version of Massachusetts Noncompete bill. If you have any questions, please contact us..